Buy this item and earn 298 ClubPoints. DVI KVM over IP Extender w/ Local DVI Output extends DVI, USB, analog audio, and RS-232, over a Gigabit Local Area Network. Resolutions up to 1920x1200 (WUXGA) and 1080p Full HD are supported. 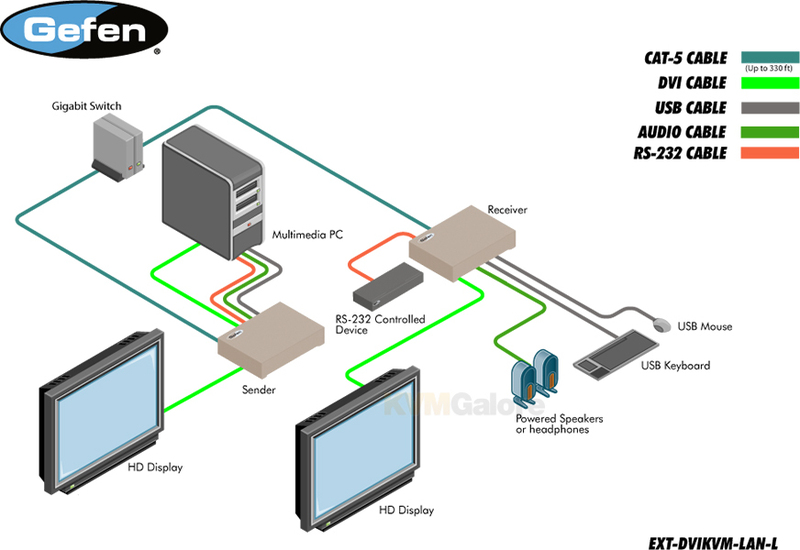 HDMI digital audio is also supported when using HDMI sources and displays with HDMI to DVI adapters. 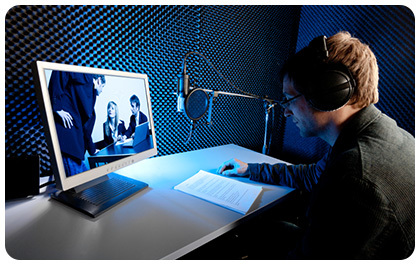 Local monitoring of video is made possible by the DVI Local Output connector on the Sender unit. The Sender and Receiver units can be automatically or manually configured to unique IP addresses to allow the connection of multiple Senders and Receivers to the same network. Multiple Receiver units can simultaneously connect to any Sender unit within the network to create a virtual crosspoint matrix of 256 Senders and up to a theoretical limit of just over 65,000 units total, depending on the network bandwidth and number of ports on the network switch. Each Receiver unit has a built in Ethernet switch and two additional RJ-45 Ethernet ports to allow for the connection of computers and other IP-enabled devices. Each Receiver unit allows the connection of four USB devices with up to 500mA current draw per port, providing access to keyboard, mouse, and other compatible devices. USB 2.0 data rates up to 480 Mbps are supported in addition to backward-compatibility with USB 1.1. Two Channel analog audio can be extended from each Sender to the Receiver units for use with headphones or powered speakers. RS-232 serial control can also be extended between each Sender and the Receivers. Built in web server interface makes set up and configuration simple and intuitive. 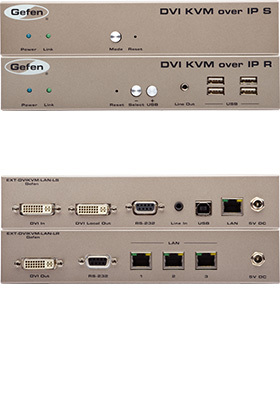 Any combination of Gefen Video over IP HDMI, DVI, and VGA Senders and Receivers can be used together to create a Virtual Matrix, where each Sender can be accessed by multiple Receivers. DVI KVM over IP Extender w/ Local DVI Output is perfect for large scale remote workstation access and for digital signage applications. If you are connecting multiple Sender units, use the web server interface to assign a unique ID to each one. Use the included DVI cable to connect a computer or other DVI source to the Sender's DVI input. If local monitoring of the source is required, connect a DVI cable from the DVI Local Output on the Sender to a Hi-Def display. Use the included USB and RS-232 cables to connect your computer's USB and RS-232 interfaces to the Sender unit. Connect audio Line Out or Headphone Out from your computer to the Line In of the Sender unit. Connect the DVI output of the Receiver to your Hi-Def display. Connect up to four USB devices, an RS-232 device, and a pair of headphones or amplified speakers to each Receiver unit. Connect the Sender and Receiver units to each other directly or through a Gigabit Ethernet switch, using CAT-5e cables. Each cable run can be up to 330 feet (100 meters) in length. If the Sender is connected to your LAN, you can use the two additional RJ-45 ports on the Receiver to connect computers and other IP enabled devices. Connect the included 5V power supplies to the Sender and Receiver units and to available electrical outlets. Power on all associated equipment. Use the Mode button on the Sender to optimize the picture for sharper still images or smoother video motion. When using multiple Senders, press the + and - buttons on the Receiver to toggle between the different Senders connected to the network, and then press and hold the Select button. When using multiple Receivers, press and hold the USB button to connect your workstation to the selected USB host device. Listed below are additional products to consider which are compatible with DVI KVM over IP w/ Local DVI Output, Sender. These items may be required to complete your system.